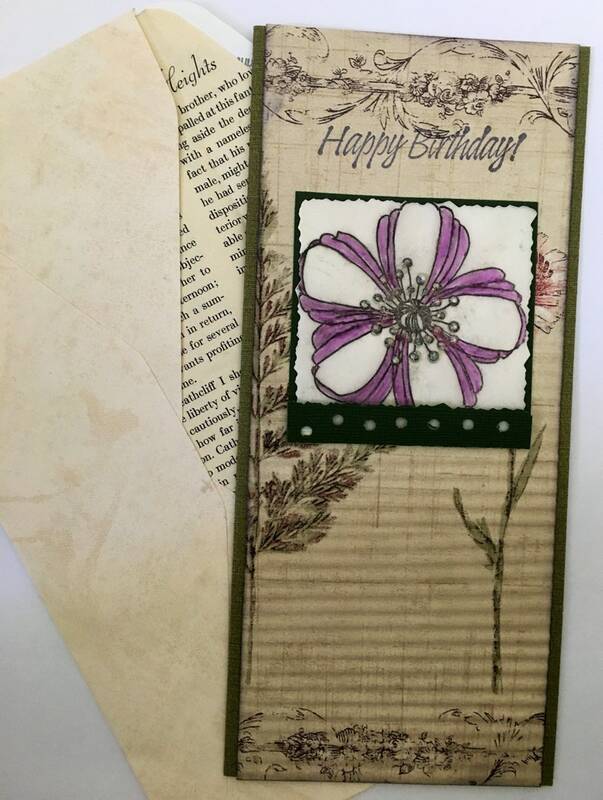 Lavender and white stamped flower on vellum with textured, layered papers on a beautiful piece of vintage wallpaper for the card. Inside reads Happy Birthday. Handmade vintage wallpaper envelope lined with vintage book page included.